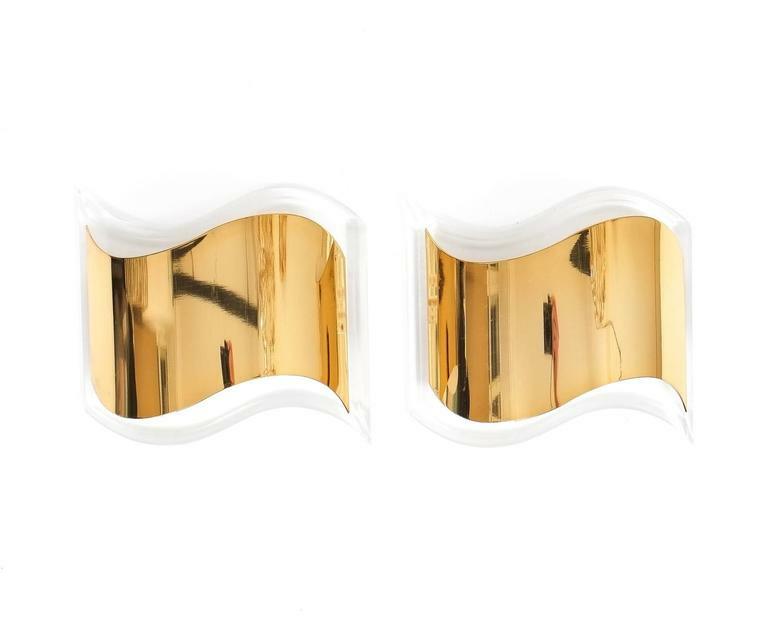 Rare pair of wavy sconces, circa 1970 featuring a Lucite base with gilt brass shades. One bulb with 40W per lamp. The condition is excellent, polished and newly rewired. 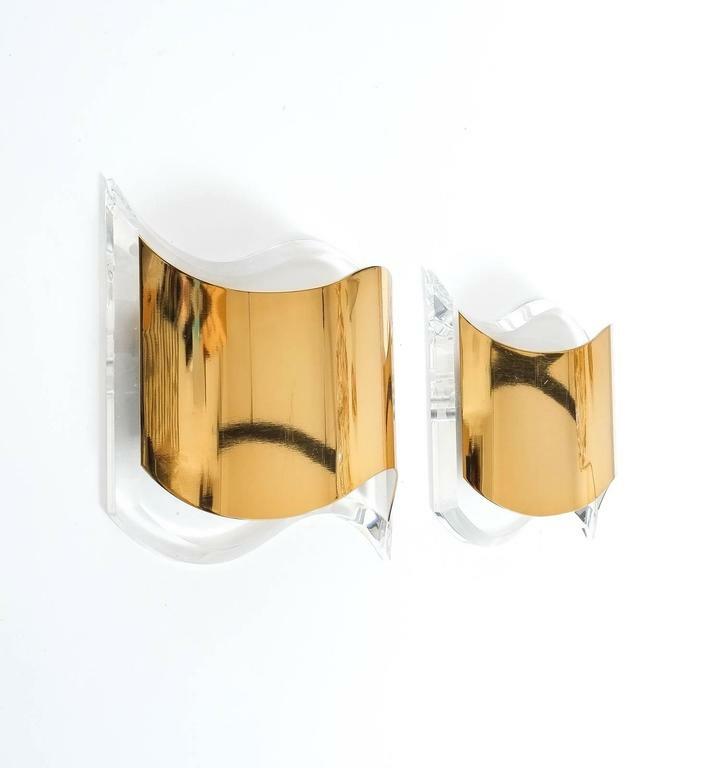 Two pairs of brass sconces, circa 1970, probably France. 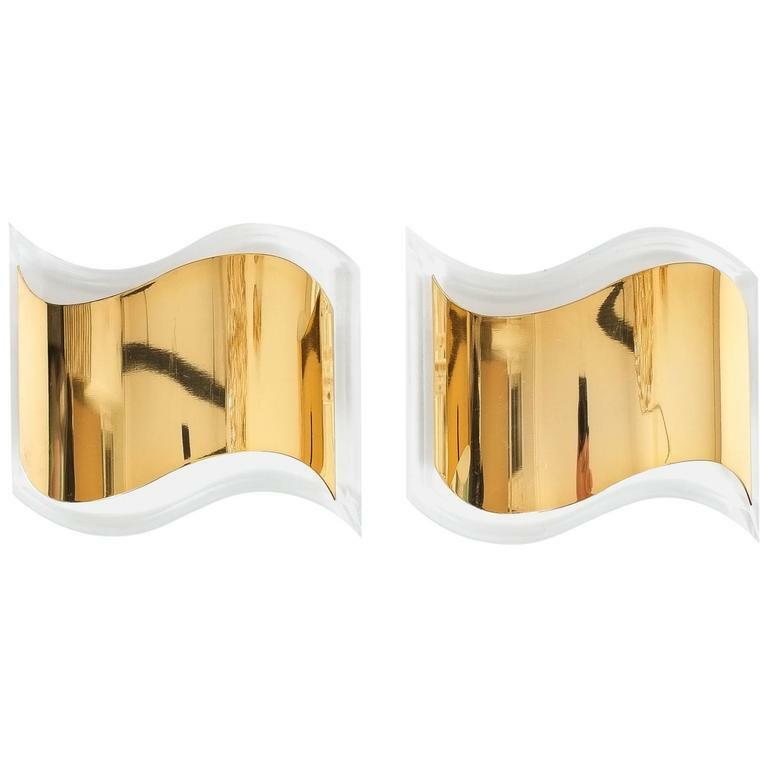 Elegant bend brass wall lamps with one open bulb per light. Very good condition with hardly any wear. 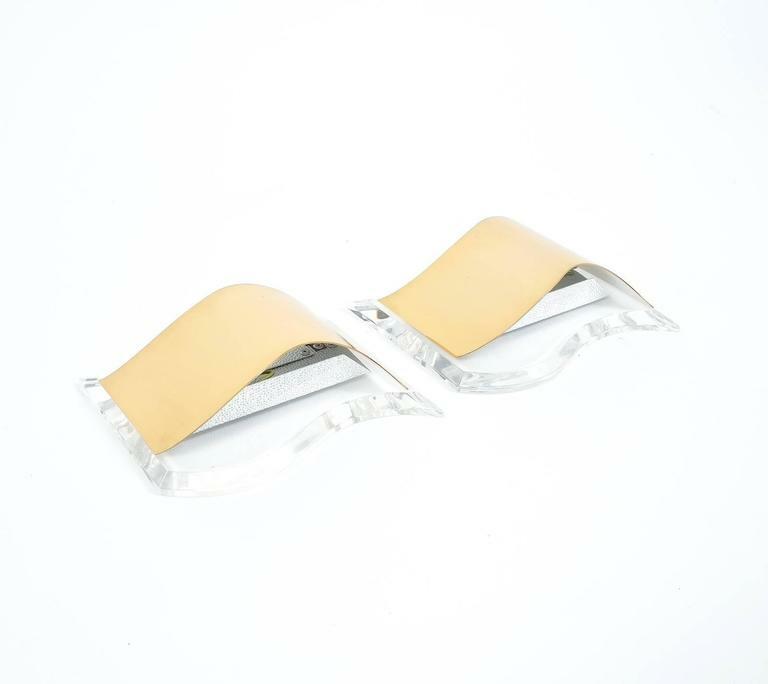 Sold per set of 2. 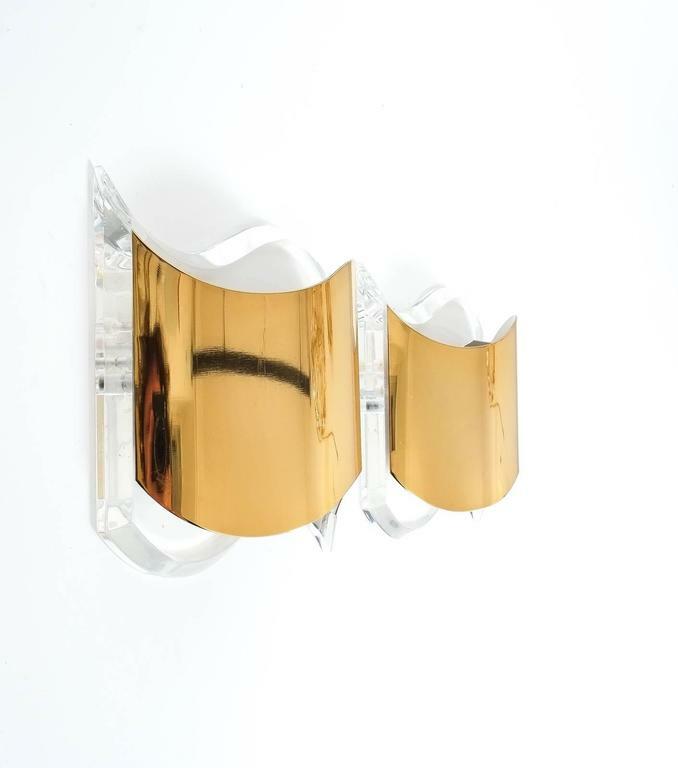 A pair of sconces / wall lights from Bakalowits, Austria, 1960s. Gilt brass and faceted glass. Pair of gilt iron and brass sunburst light wall or wall sconces, in the style Art Deco. Nice patina. 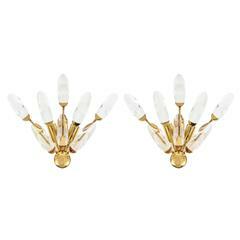 A pair of Italian sconces with cast gilt brass back and arm with whimsical grape style glass beaded shades. 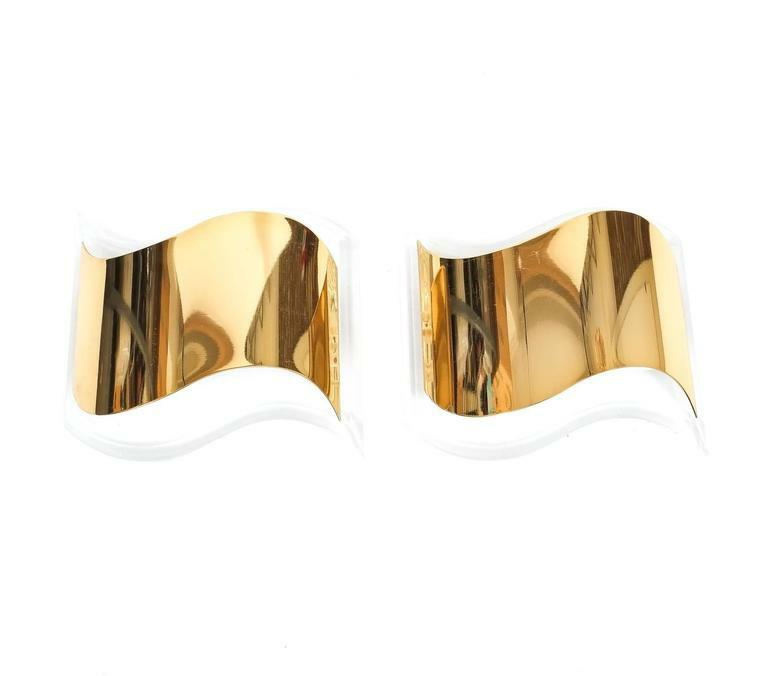 A stylish pair of gilt sconces attributed to Maison Jansen brass sconces in feather form with ribbons. Two lights. Original condition.